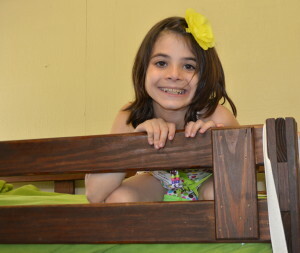 Today, we took Zoe to sleep-away camp. This is her first time and she decided to jump right in. She will be gone for 24 days. When I tell people this, I always get a surprised, “Wow, that is a long time! Is she going with friends?” The answer is no. She did not know of any friends going to camp…and that made the idea even more thrilling for her. She was enticed by the idea of going somewhere new where she could reinvent herself as she likes. When we were filling out the camper information forms a few weeks ago, there was a section where the camper had to answer some questions. 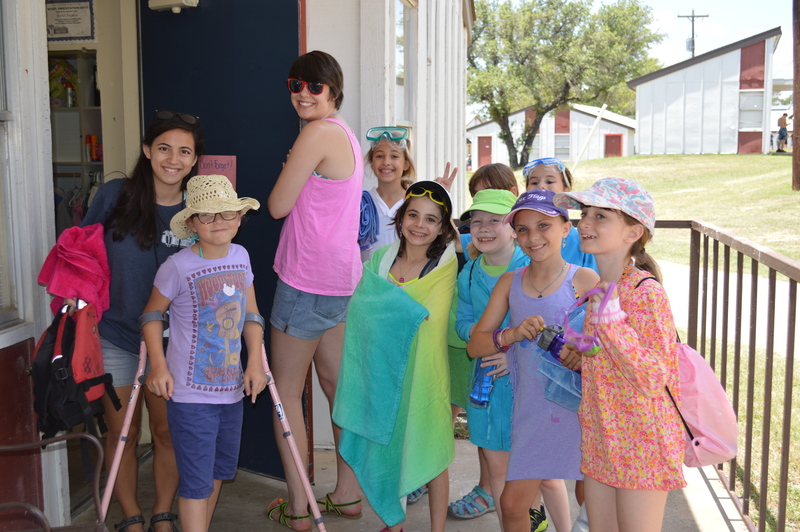 When asked what she most looked forward to at camp, she replied, “some time away from my crazy house and a chance to meet new friends.” The answer was a little surprising to me and it made me feel a bit sad. I have always worried that there will be some negative impact of having a brother like Gray. She is right, this is a crazy house. Most kids are taught not to tolerate physical abuse, but my girls are regularly pinched, slapped, or have their hair pulled. When your 9-year-old can casually step into the shower and then call out, “Mom, there is poop in the shower. Could you clean it up before I get in, please?” It makes you wonder how this bizarre life will affect her. Of course, Barry and I do our best to give Zoe lots of one-on-one time. We work hard to make life as normal as possible for both of the girls, but the fact remains: our life is not normal. I am so happy to send her to camp where she can escape Crazy Town for a little while. She deserves the chance to live in a bunk with girls her age and do normal camp things. She deserves to spend some time just focusing on herself and her own social growth without having to make concessions for her younger siblings. Surprisingly, she was remarkably calm on our drive to camp. Usually, she fills the space with nervous chatter when she is going into an uncertain situation. The subjects just run into one another and she can talk on and on. This morning, she just played video games on the iPad, made jokes, and enjoyed the sunflower fields that passed. Upon arrival, she happily unloaded the car and went through all of the check-in stops with us. When we got to the bunk, the counselors were waiting with friendly perky greetings. As I started unpacking her bags, Zoe made her way around the bunk and started introducing herself to the girls who had already arrived. I had to coax her off of a new friend’s bunk bed just to come put things away so that she would know where to find her things. After unpacking, the three of us went to the mess hall for lunch. We were just finishing up when one of the counselors announced that a new parent orientation meeting was about to begin in the adjoining room. I said, “Well, I guess we need to finish up and head in there.” Zoe replied, “No thanks. That meeting sounds boring. I’m ready to head back to my bunk.” I explained that we did not have time to walk her back before the meeting started. She replied nonchalantly, “That’s fine. I’ll just catch up with you after the meeting. I’ll find my way back. It’s no problem.” And then she turned and skipped out of the dining hall. Just like that, she had grown up. I guess one of the benefits of living in Crazy Town is that the normal world becomes much less intimidating. When we came back to her cabin after our meeting, I noticed that Zoe was speaking with a girl in her group that had forearm crutches by her bed. The counselor announced that everyone should get ready to go swimming, so Zoe hopped up to get her bathing suit. I asked her about the girl she had been talking to. She told me the girl’s name and said, she has trouble walking, but she is really nice. On our way out, I spotted one of the camper care specialists who had been introduced to us in our new parent orientation. This camper care specialist was designated for the campers with special needs. I went up to her and introduced myself. I told her that I noticed one of her campers was in the bunk with my daughter. She nodded and looked a little concerned as to what I might say next. I told her that Zoe was quite comfortable around people with any kind of disabilities and had already struck up a conversation. I told her that, if she needed to find a camper to help ease any awkwardness in the cabin, Zoe was her girl. In all likelihood, Zoe wouldn’t even see the crutches as an issue at all and she is quick to step in and be an advocate for anyone who might need it. Her face lit up and she told me she was so glad to know that she could count on Zoe. We were on the road back to Dallas a full hour before I had expected. Her last words before she trotted off to the pool were, “This is already so much fun. I am not nervous at all! I’ll see you in a month. Love you both!” I really thought I would cry when we left, but it just didn’t seem necessary. Congrats to Zoe!!!! She will have no problem making lots of new friends and enjoying the next 3 plus weeks. I hope you get to enjoy some time for yourself, too!! !